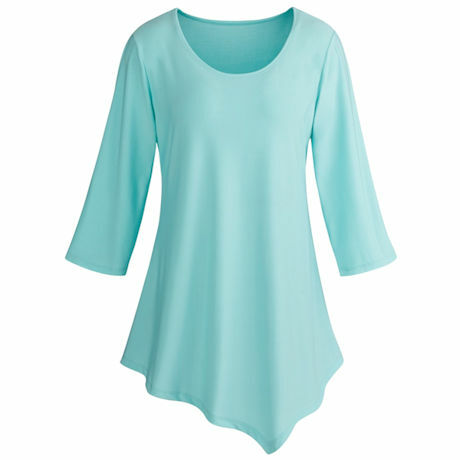 A fashionable twist on the any-day tunic. 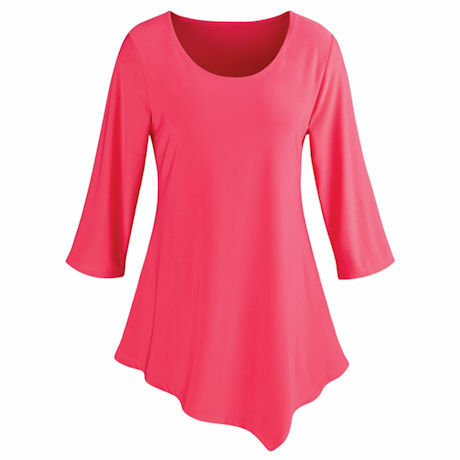 All the details you love are here: a flattering scoop neck, no-fuss ¾-length sleeves, extended length - plus we've added a little flair in the asymmetrical hem, with a flirty point accenting your thigh just so. Great for wearing under drapey jackets or sweaters or over statement pants. Medium is 29"L. Specify Blue, Black, Navy, Purple, Red or White.